I’m about a third of the way towards my 40th birthday deadline which I set myself in my 40 Things For 40 Years Challenge. 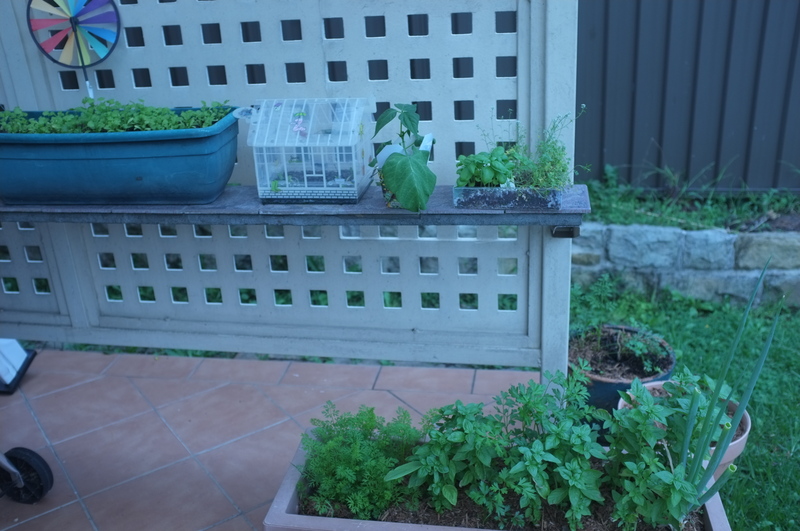 I’ve completed a few of the easier things, such as buying a beautiful dining table, and growing my own herbs and seeds in pots on our verandah. A couple more challenges are underway, like going to monthly confession, and planning for the mothers’ retreat I’ll be hosting in August. There is still quite a lot to do though, and looking over the list today I counted 26 items I haven’t begun including some big ones that require a greater investment of time and/or money. Yikes! Time is the biggest issue. My writing and editing work has stepped up a notch and I’ve taken on a volunteer role at my daughter’s school, so I’ve got a lot less disposable time in general. But as an inveterate list-maker I’ve gained some valuable experience in making my to-do lists doable rather than daunting. Here are some things I’m doing so that I can have everything neatly crossed off by the time I blow out my candles again. Group items together. There are some things I can naturally group together and knock off in one hit, such as spending a weekend with my eldest daughter and visiting the observatory to look at the stars. Ditto with catching up with friends and hosting a fancy dinner party. I’m generally not a fan of multitasking, but in these cases it will work! Add in some accountability. I’ve just been invited to join a small writers’ group being set up for mutual support and encouragement. That should help me get my children’s book idea out of my head and into draft form at least. Revise and re-think my goals. Enough time has passed for me to see which of the goals I wrote down in October I still really care about. Trying a pilates class is something I really don’t care to prioritise at the moment. I’ve been given a handful of core-strengthening exercises by a friend which are quick and easy to do at home. I also am not really sure why I wanted to write a letter to Bono or Pope Francis. I don’t feel any guilt about tweaking those things – replacing pilates with three times a week exercise, and starting a new habit of writing handwritten notes and letters to friends and family instead of writing to Bono (what was I thinking?). Delete an item or two (or more). It’s amazing, how often, after revising a too-long long task list, there are one or two things we really don’t need to do in the time frame we’ve given it, or we don’t have to do ever. Delegate. I’ll probably delegate the blog upgrade, trampoline purchase and set-up, and organising some of the social events. After doing all of these my remaining 26 items drops down to 19 while I should still end up with 40 great things accomplished. That’s better! I actually use long to-do lists very rarely these days.What do you do when you feel overwhelmed by a task list? Thanks for reminding me Marc, I like that method too.